A while back I did a tag about being a 90's, so I thought I would talk about the 90's for throwback Thursday! If you're interested in reading that tag click here: 90's kid tag!. Now obviously if you a kid or teenager during the 90's you know everything that happened. I'm sort of reminiscing about being a kid, during that time. I believe I have an attachment to this decade. Seriously I love the music, the television shows, the clothes, basically everything! I remember being on Instagram and there were pictures of what Nickelodeon Studios use to look like and what it looks like now. Kids today will not know what it was like back then. I get how my way of thinking is silly, and you're probably thinking she's older now why does she care. I guess because I'm a kid at heart. I mean every now and then I might watch an old SpongeBob episode, don't judge me! Remember Shows like "All that" and Kenan & Kel. Those shows were hilarious and very entertaining. I remember on All that Amanda Byrnes character would read letters and say "Dear Ashley, that's me" while pointing to herself. Those were the days. A few weeks ago I talked about MTV classics and how much different is now. Sometimes when I'm in deep thought, I reminisce about old times. I know things have changed because the world is evolving, I get it. I know it's a life change and maybe turning 25 next month has got me thinking about how fun my childhood was! This is getting deep, so I'll lighten this up a bit. My favorite shows to watch as a kid was: Ren & Stimpy, The Rugrats, Angry Beavers, Rockos Modern Life, Hey Arnold, Power Rangers, Pepper Ann, As Told By Ginger, Recess, Kablam, Angela Anaconda, and Ahh Real Monsters. I could go on and on. If you name it I've probably seen it. Actually Power Rangers still comes on, I believe on Nickelodeon. Anyways I know I'm rambling but remember board games like Guess Who, Connect Four, Operation, Sorry, Trouble, and Uno? I still play UNO with my family, that game can get pretty intense. I would talk more things from the 90's but this can't happen all at once. So during my Throwback Thursday posts I will talk about everything in details. I'm writing this in this middle of the night, which is probably why I need to go to bed! This is when I tend to think a lot about life. If you stuck around for this "emotional" rant that probably doesn't make sense, thank you! 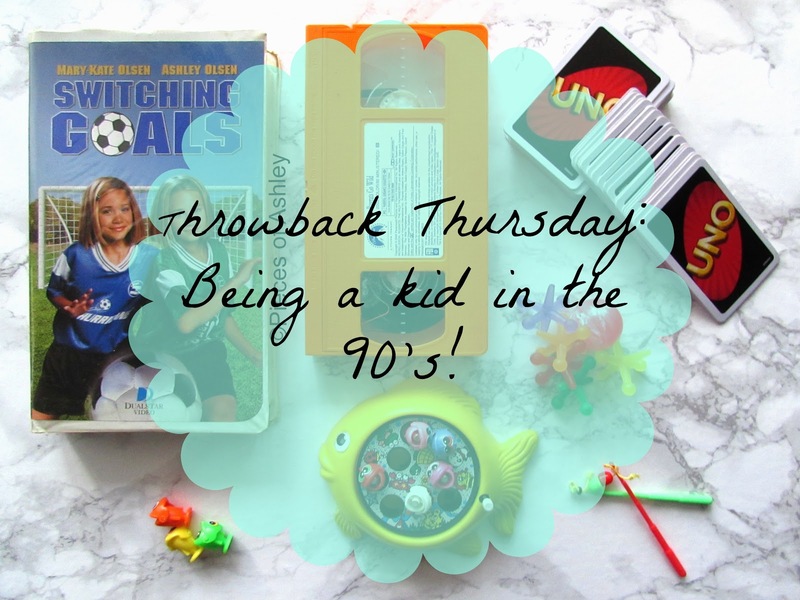 I hope you enjoyed reading and however old you were in the 90's, feel free to share your memories!